Here is the letter I never wanted to write. Or rather, the letter I wish I could have written differently. To what do I refer? Alexander’s death, perhaps? No. It is true that death is a sadness but it is also freedom. It has to happen and it is good that it does. The Macedonian army did not need to mutiny at the Hyphasis River, though, and it is this that I have just read about. It happens in the pages of your book without warning. One moment Alexander is successfully prosecuting yet another siege, the next his men are depressed and holding meetings ‘at which even the best of them grumbled at their fate’. I suppose the key word here is ‘yet’. I used it as a nod towards Alexander’s perennial success in siegecraft. For his men, though, the word was a whip driving them further and further away from the families they longed to see and rest they needed to have. Maybe I was wrong to be so grumpy in the first paragraph of this letter. As regards Alexander’s speech to his officers it could have been written by a man of my own age. This is because he does not seek to take sole credit for his successes but determinedly shares them with his men. In short, he is inclusive. and so forth. Does Alexander mean what he says, though? I think he does, if only to a point. This is proven by his petulant reaction to Coenus’ speech. It reminds me of how some so-called inclusivists in my own time react to people who have the temerity to think differently to them. Sadly, they do not content themselves with sulking in their tents but try to get laws written to enforce their position. As if laws will ever change people’s hearts. At the beginning of Book Six of your account you refer to Alexander deleting a passage from a letter to his mother. This has got me to thinking about his relationship with her. The passing years make a mystery of Mankind to himself. Ironically, I think, this is due in part to the efforts of those who develop new ways of actually understanding our characters. Though these learned people may highlight certain truths about men and women, their inaccuracies – for surely no method is perfect – create new barriers to understanding. Who was Olympias, really? Was she as ruthless in spirit as she was in action? Did she care about the source of the Nile or simply want Alexander to come home? Did she pray for her son and his generals? Just him? 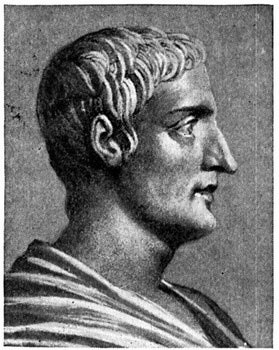 I am grateful to you, Ptolemy and Aristobulos, my friend, but how I wish we had not just Alexander’s and Olympias’ letters but them to speak to us directly! Well, maybe after death, if the freedom it gives is not the false one of extinction but something greater than Elysium.